How do I fix a clogged toilet? Sooner or later, we all have to seek the answer to that question. Fortunately, there are a few ways to accomplish what many consider to be a dirty job. The first question you have to answer is "What is down there?" If you know it's a child's toy or other hard object, it may be time to call a plumber. If you end up pushing it further down the pipe and making it harder to get to, it could end up being more expensive to fix the problem. If the clog is, shall we say "organic", there are some options to getting the water flowing again. The first step is to get some rubber gloves on in case you need to "go deep" and place some paper towels or newspapers around the toilet to pick up the inevitable water that will splash out of the bowl. Use a plunger- This is the first and easiest option. This method is more effective with higher quality plungers that have a shaped bottom to ensure a good seal rather than the cheaper "suction cup" types. A good seal under water is required for a plunger to work properly. It's the force of water, not air, that will cause the clog to clear. If the bowl has drained, fill it with water from the sink until the plunger is under water. You can also run the plunger under hot water to soften the rubber to ensure a good seal. Be careful with that first push, because there will be air in the seal. This is especially important if there is water in the toilet that you definitely don't want splashed around. Once you get a good seal, push and pull up firmly without breaking the seal. It can take ten to twenty pushes to dislodge a stubborn clog, so don't give up. Check your progress by breaking the seal and seeing if the water drains out. If it does, flush the toilet to see if it drains properly. If it does, congratulations. If not, make the seal and plunge again. Sometimes this cycle needs to be repeated three or four times before a clog is fully dislodged by being broken up or pushed down the drain. If plunging doesn't work, there are some other options. 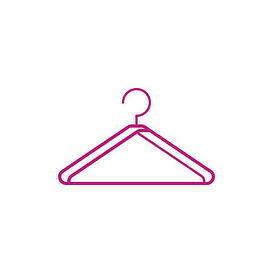 Use a wire coat hanger- Unravel and straighten out a wire coat hanger. Wrap the end with a rag and seal it with duct tape. This will prevent the hanger from scratching the porcelain in your toilet. If the obstruction in the drain is within reach of the hanger, this method will generally work. Try an enzyme product- These products are designed to break down organic material in pipes. They are used in septic tank repair and other plumbing tasks. Just pour the solution into the toilet and leave it overnight. Try a homemade drain cleaner- Boil a half gallon of water and then let it cool for a few minutes. Boiling water can crack porcelain. Put the water near the toilet and add two cups of vinegar to the water. Finally, add one cup of baking soda. Add the baking soda last, and be prepared for the mixture to fizz quite a bit. Pour the mixture into the toilet and let it sit overnight. Try a chemical drain cleaner- If you try the enzyme or the vinegar/baking soda method and the toilet is still clogged the next day, it's time to move on to the last option before calling a plumber. Chemical drain cleaners have very caustic chemicals that should not be inhaled. Follow instructions and use only the specified amount. Also make sure that the product is specifically made for toilets. Make sure that the room is properly ventilated, and do not use a plunger after you pour the chemical in. You risk splashing it on your skin. Reaching the chemical drain cleaner step is an important decision point. If it doesn't work or you don't want to risk trying it because of dealing with harsh chemicals, it's time to call a plumber. You may want to check out our Plumbing Page for more useful tips and information.